Microsoft says a newly discovered flaw in its Windows software was used by a hacking group that other researchers have linked to Russia's government and computer intrusions at the Democratic National Committee. The flaw was detected by researchers at Google, who recently alerted software makers Microsoft and Adobe Systems about vulnerabilities in their programs. Adobe issued a fix for its software last week. Microsoft says it's testing a patch and will release it next week. 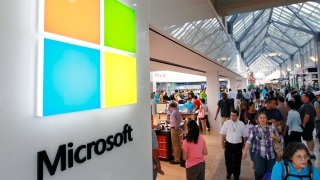 Microsoft acknowledged the problem Tuesday, saying only that it affected older versions of Windows and was used by a group called Strontium to target "a specific set of customers." The security firm Crowdstrike and others have linked Strontium, also known as "Fancy Bear," to recent attacks on government, media and political targets in several countries. Meanwhile, according to a senior U.S. intelligence official, the Kremlim is backing a plan to purge government offices and state-controlled companies of all foreign software, including Microsoft, and replacing it with Russian ones, NBC News reported. As Russia braces for the U.S. to retalitate for months of hacking attacks that Washington says were ordered by Putin to influence the American election, it is signaling to its own population that "we can't trust American technology — and once again feed into Russian hostility and paranoia towards America and its products," Rep. Adam Schiff, the ranking Democrat on the House Intelligence Committee, said. The move shows Russia is serious "about nationalizing the internet and making sure they can create their own secure content," said Fiona Hill, a senior fellow at the Brookings Institution.